I love updos. My love for them really started when I big chopped and had no hair to put up! When relaxed, it was all about wearing my hair down to show length. Being natural makes a length test being about the ability to wear my hair up. I mean, rocking your first puff is HUGE! So when I decided to do another hair challenge, I knew it obviously had to be…well, a challenge! And I know how challenging it can be finding updo inspiration for natural hair, especially for resistant hair like mine. So how much more challenging would it be to style my hair in an updo everyday for a month? How many different ways are there? 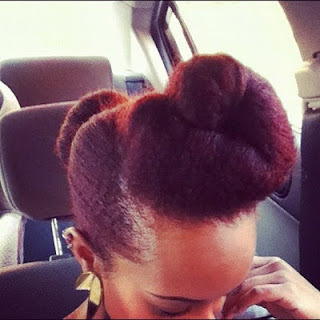 In weaves, braids and relaxed hair, we wear updos for work, weddings and other formal events. 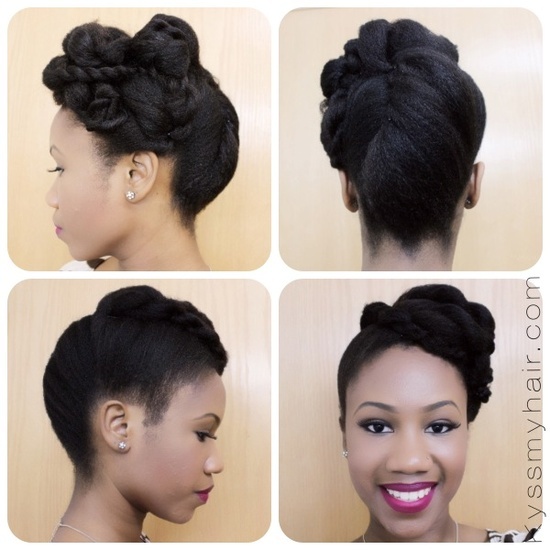 Yet when it comes to natural hair, we kind of get stumped for ideas. They’re out there, just not as easily replicable for my resistant hair as some of the other styles are. At least, that’s what I’ve found. Well, I’m going to do it. 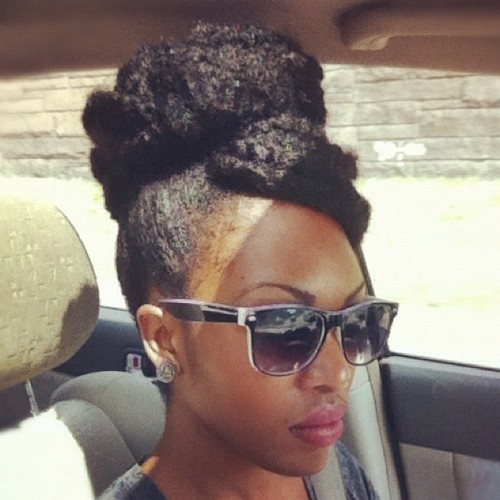 I’m going to rock 30 natural hair updo styles over 30 days. And I define an updo as having 50% (or more) of my hair ‘not free’ lol. No repeats but modifications are allowed. Give Fro a break on wash day. This time, my videos will be part of the fun too! Hi. Just discovered your blog and I love it. I can relate to it more than the international blogs, with products that are not available in SA. I have 1 question that's off-topic though: where do you get the shea butter for your Zesty Lemon Butter? And price? Keep up the blog. Love it!! i wish i could the same i have no patience and im too lazy LOL and my friends complains about it too hehe. this is the last thing i expected when you mentioned another hair challenge was coming soon… can't wait to see the updos you will come up with. my hair is also resistant to updos for now, honestly it has a mind of its own.